Dr. Stephen Lovell of King’s College, London – ’20 Years after the Fall: remembering the Soviet Union’. Dr. James Ross of the National Archives. 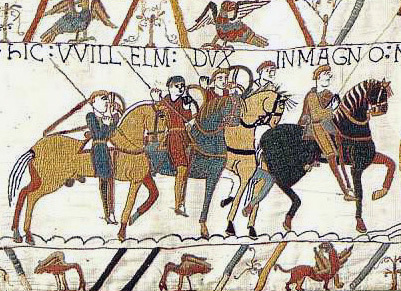 ‘One of the greatest of English Kings or a ruler without any conspicuous merits’? The reign of Edward IV (1461-83). Graham Searle will give an illustrated talk. ‘The Age of Improvement! Changes in Victorian society and their effects on the character and development of sport in 19th century Britain’. Dr. Ed Bispham of Brasenose College, Oxford. ‘Disrespect in Retrospect: the Emperor Tiberius and the breaking of a reputation’. Dr. Jane McDermid of Southampton University. ‘Everyday life in Stalin’s Russia, looking at the Terror through a series of case studies by using memoirs to examine life in the labour camps and diaries to consider life in the cities’. Dr. Steve Tsang of St. Antony’s College, Oxford. ‘The Kidnapping of Chiang Kai-shek in Xian in 1936 and the start of China’s War of Resistance against Japan in 1937: a revisionist assessment’. Christmas Party at Guildford Museum, Castle Street, 7pm. Talk by Alan Wakefield of the Imperial War Museum. “Christmas in the trenches. 1914-18.” Tickets £5, including buffet and drinks. A.G.M. followed by Professor Kathleen Burk of University College, London.”The character of early American Settlements: the grievances which developed and the build up to the American War of Independence”. Roger Crowley, author of “Empire of the Sea” and “Constantinople”. Empires of the Sea; the Ottoman-Hapsburg contest for the Mediterranean in the Sixteenth Century. Christmas Party. To be held at Guildford Museum, Castle Street. Please note early start time of 7pm. Talk by Matthew Alexander “Surrey Christmas Customs”. Richard Holmes. Professor in Military History at Cranfield University. “Marlborough, England’s Fragile Genius”. Bob’s walk. “St Paul, a marsh and bones.” To include the Museum of Childhood. AGM followed by Sean Lang (Anglia Polytechnic University). ‘Lessons on the British Empire – a history of teaching on the British Empire from 1870 to the present date’. Dr. Peter Heather (Worcester College, Oxford). ‘Changing views of the fall of Rome’. Christmas Party at the Guildhall. Donald Clarke. ‘Re-enactment of the life and plight of a vagabond in Elizabethan England’. Professor David Stevenson (London School of Economics). ‘The origins of the war of 1939’. Professor Carl Bridge (King’s College, London). ‘Naval strategies in the Pacific 1895-1945’. Dr. Glyn Redworth (Manchester University). ‘Before the Armada. Philip II as King of England 1554-1558’. Short AGM followed by Professor Anne Curry of the University of Southampton. ‘Knowing too much, knowing too little? Agincourt and Bosworth compared.’ Click here to read about her book ‘Agincourt’. Professor Tony Stockwell of Royal Holloway College. ‘Proconsuls and the Ending of Empire: from Mountbatten to Patten’. Dr. David Starkey, Bye Fellow of Fitzwilliam College, Cambridge. ‘Monarchy and the Beginnings of Modernity in England’. 7.30pm at the School of Management Lecture Theatre, University of Surrey. Robert Fox, Defence Correspondent for the Evening Standard. ‘The Conflict in Iraq and its Historical Context’. 7pm. Christmas Party at the Guildhall. Tickets £5. Matthew Alexander of the Guildford Museum. ‘Victorian Guildford’. Dr David Andress, Reader in Modern European History, University of Portsmouth. ‘1789: Britain, America and the French Revolution’.